So I thought I'd be able to slide individual reviews for each of these books out as I read them, but after finishing Slightly Shady, I was under the impression that I had little to say about the book. Lavinia was the standard Amanda Quick heroine, Tobias was the standard Amanda Quick hero... albeit he DOES tend to get on your nerves with a bit of his neanderthal, broody, overprotective behavior. And he started off as a jackass altogether. And upon finishing the rest of the series... well, while very enjoyable with all the usual Amanda Quick charm, there really wasn't anything altogether outstanding about this series. 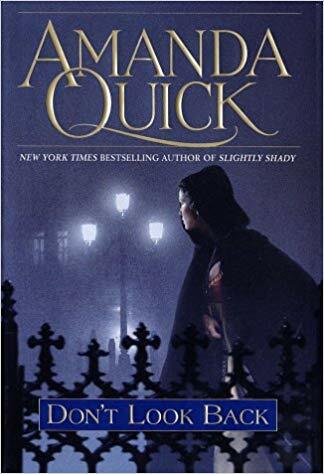 Although I think this is probably one of the few Amanda Quick series wherein she follows the same main couple throughout, only introducing new characters on the side as the books progressed. The only other one I recall was a duology, Whispering Springs. The side characters were really only okay, as far as characterizations stand, though I will admit that I DID really like Priscilla in the last book, whereas she barely stood out in the first two as a very, very background character, friend to Lavinia's niece, Emeline. I had my issues with Anthony and Emeline, and couldn't quite figure them out, so they made okay supporting characters as part of the Lake & March investigating team. The mysteries, overall, were rather standard and predictable, especially the in the last book, Late for the Wedding. But in the end, I was still rather entertained and enjoyed myself, so on a scale, this series gets an average rating from me. Another enjoyable Amanda Quick series finished! As if a head for business and a nose for trouble aren’t enough to distinguish fiercely independent Lavinia Lake from the other women of London’s fashionable Claremont Lane, there is one more feature to set her apart. Lavinia is also well versed in the practice of mesmerism, an extraordinary gift that far surpasses mere charm and physical appeal. Nobody knows this better than the usually cool-headed Tobias March, who seems to have fallen hopelessly under her spell. Celeste Hudson, the stunningly beautiful young wife of a family friend and fellow mesmerist, would surely count herself among such individuals--were she still alive, that is. While mythology’s Medusa could turn men to stone, lovely Celeste was more accustomed to turning them to jelly. In fact, unbeknownst to her husband, Howard, the ambitious Celeste was planning to use her talents to forge a new future in Society--one that would not include him. Sadly, her plans were cut short when she was murdered. Only a gentleman’s cravat wound around her lovely neck remained for evidence--small compensation for the strange and priceless bracelet that may have been snatched from her wrist as she drew her last breath. As a result, Lake and March are soon in Howard Hudson’s employ on the trail of the killer. But Tobias is convinced the dashing widower is more interested in tracking down the missing relic. If so, Howard is not alone. Any number of ruthless types are after the very same antiquity, whose centerpiece is an unusual blue cameo of inestimable value and supposed legendary powers--powers of immeasurable worth to anyone in Howard’s line of work. It seems Aspasia is seeking protection--and solace--after receiving an ominous message that eerily recalls the past. Suddenly the obstacles standing between Tobias and Lavinia appear greater than just a little London gossip--and far more deadly. When events at the castle suggest someone is imitating the dead killer’s methods, the team of Lake and March fervently pursue the investigation--and each other--as their leads take them from Society’s most elegant haunts--and most discreet hideaways--to London’s shadiest backstreets. As their relationship heats up, so does the intrigue. Soon Lavinia will have to employ all her talents to flummox the scoundrel who so rudely interrupted her rendezvous. And then she and Tobias can get back to more pleasurable affairs. February, 1906. 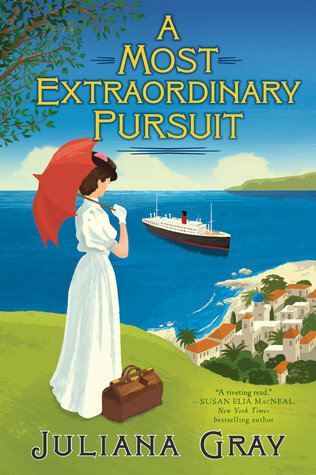 As the personal secretary of the recently departed Duke of Olympia—and a woman of scrupulous character—Miss Emmeline Rose Truelove never expected her duties to involve steaming through the Mediterranean on a private yacht, under the prodigal eye of one Lord Silverton, the most charmingly corrupt bachelor in London. But here they are, improperly bound on a quest to find the duke’s enigmatic heir, current whereabouts unknown. 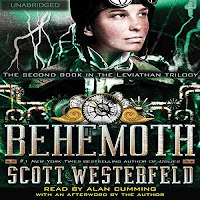 This book started out with a pretty confusing, yet amusing anecdote involving our heroine and a conversation she has with a deceased sovereign who is supposedly a figment of her imagination. In truth, the writing is pretty good, and the story was easy to get into. I just wasn't sure what the heck that first chapter was all about... and subsequent chapters that featured our heroine talking to the specter of people who are deceased, her father included. This particular quirk of the book (or of our heroine's character, maybe) seemed like maybe a strange way for her to sort out her thoughts, but it was never really clarified whether these were truly facets of her own overactive imagination (of which she never appears to have in other instances), or if there's something more paranormal going on, such as maybe she's being haunted by the late Queen Victoria and her father. In fact, this whole book was actually a bit confusing when it came to the story line. Aside from the main plot of trying to find the missing heir of the now deceased Duke of Olympia, there was also the myth of Ariadne, Theseus, and the Minotaur... as well as what seems like an odd time travel insertion. The book starts off with a prologue in 2012 to establish a sort of time travel-like premise. But when we get to Emmeline's narration in 1906, there really isn't any indication that that prologue held much significance, except maybe some mentions of anachronistic findings in a ruin being excavated in Crete. 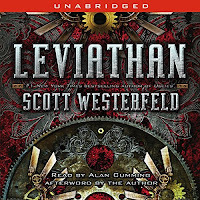 The time travel plot device isn't even brought about again until closer to the ending of the book, and a lot of other fantastical happenings occur that make me even more confused as to what's going on... but in a way kind of curious to see if things are explained better in the next book. Meanwhile, I had a hard time liking any of the characters in this book. While Emmeline comes off rather strong and independent, she's also kind of a play on contradicting ideals. She's the personal secretary for the Duke of Olympia and prides herself in being able to take care of herself, but she openly admits to not seeing the advantages in gaining votes for women, with a simple, "politics are too complicated." This rubbed me the wrong way, obviously, but I was amused to find out Lord Silverton was much more forward-thinking, treating Emmeline much the same way he would treat any other male colleague during those times--he pretty much trusted her to watch her own back as well as his, and didn't try to downplay anything serious or horrendous in deference to misconceived fragile sensibilities. To be frank, I found I wasn't too sure how to take Emmeline's personality. She was extremely prudish, and stubborn to the point of frustration, bordering on TSTL with her penchant for making extremely bad decisions and putting herself into danger twice despite having some sort of forewarning. She's also extremely judgmental towards Lord Silverton (not without reason), as well as any of the other women who just so happen to find Lord Silverton charming (without reason). Her world felt so black and white it started grating on my nerves. But then you start seeing little flashes of her history, some that contribute to characterization and some that don't, and as the book progresses, it feels like she just starts growing on you. And you hope that at some point in the future, maybe she WILL concede the benefits of the women's' vote, or maybe she WILL learn to stop being so prim, proper, and judge-y. It's hard to grasp the kind of person that Emmeline Truelove truly is, but at the same time, I can't seem to really fault her for her rigid ideals and morals, simply based on what I started learning about her as the book progressed. Still, this book could have been pretty good, strange mystery-not-mystery not-withstanding. The action was nonstop from the beginning, and the strange little anecdotes were hard to figure out. But the writing was rather good, and the bantering dialogue between Silverton and Emmeline was super fun. I just wished that I was more intuitive to what the heck was going on for the first half of this book. 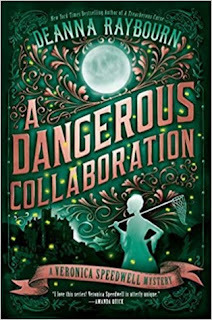 I had started drafting this post before I started reading A Dangerous Collaboration, allowing that it would probably take me at least three or four days to finish, seeing as how that's been my average on number of days it takes to finish a book. But then I started reading... and it was history. 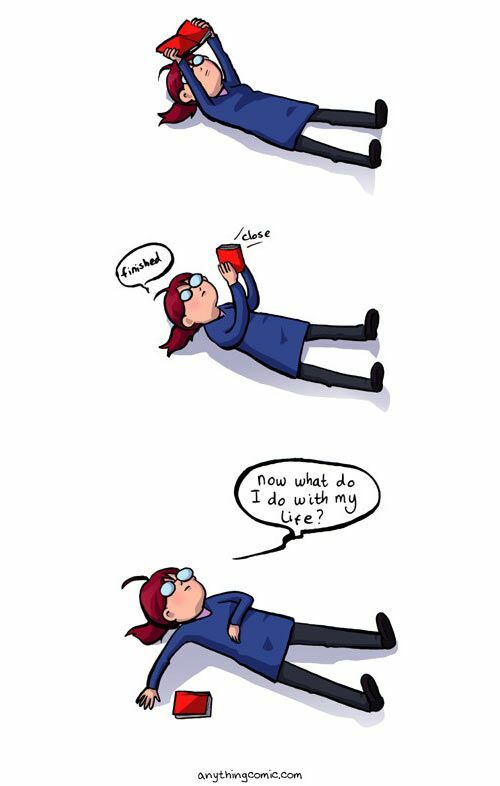 I couldn't put the book down and finished it in the wee hours of mid-morning when I should have already been asleep for hours. And it felt good! I don't know when the last time was that I read something I just couldn't put down because I utterly fell into the book. I've always loved the Veronica Speedwell series, though, so I'm not really surprised at my progress--it wouldn't be the first time I started reading a book in this series and just kept on going without any proper respect for sleep. There is still a lack of progress in my reading week, as we can see below, but this is par for the course now. With the exception of finishing A Dangerous Collaboration within a twenty-four hour period, I really only managed to finish one other book all week. Mainly, I spent two of those days sleeping off my cold, one of those days hanging out with my family, and the rest at work, wherein I would promptly pass out when I got home. 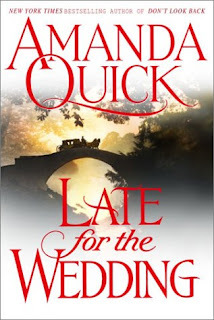 Of all the books I'd already started reading, I was feeling like I needed something a lot lighter while I'd been sick, and so just went for the last Amanda Quick book in her Lake & March series. It was quite enjoyable and made me happy, so that was all that mattered. I'm getting over whatever ick I managed to pick up, so there's at least that much to be cheerful about, and I'm ready to get back into more routine blogging. Since I've already started reading so many books, I highly doubt I'll be able to actually start a new book this coming week. In truth, it would probably be to my benefit to finish something before I start something new so I don't feel so overwhelmed. So I'm simply going to list the few books that I know I plan on trying to get to for the month of April, including another Amanda Quick book, and the book for the Indigo buddy read over at BookLikes, Indigo by Beverly Jenkins. I Contain Multitudes is a pre-chosen book for my Reading Assignment Challenge that I had decided to insert into April. But before I can even get to those, I have a whole bunch of library books that need to be read. 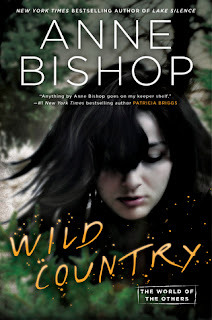 I finished A Dangerous Collaboration before I knew it, and so now I'm looking forward to jumping into Wild Country. Meanwhile, I do, indeed, need to finish reading Mort, both for the Discworld monthly read, as well as because it will be due to be returned to the library soon. So, in the meantime, it looks like I might be taking The Scarlet Pimpernel a day at a time, which will ultimately mean that I won't be rolling for Snakes and Ladders for a while. Of course, this also means that I'll have hoarded a bunch of other books to use in case I might occasion upon a square that requires it. I'm not even going to make excuses, and after about two seconds of conflicted thought, I went for it. This book is my first FIVE STAR book this year, and I have no regrets. I couldn't put this book down the moment I started it, no matter how many times I told myself that it was time to go to sleep. It's no secret that I've loved this series since the first book and continue to love it. And this time around, I found that I've never loved Stoker more than in this book; he really, really just came to life here. I already loved Veronica and continue to love her, and I love Stoker, but have always been a little reserved because until the previous book, the focus was usually on Veronica. I love the relationship between Stoker and Veronica and their banter is priceless! I'm going to forgo the 'It's Monday!' weekly meme this week again in favor of my regularly scheduled Monthly Wrap Up--there's no reason to repeat myself so many times. And also, I've been too sick to really care about posting anything extra. Here's hoping that I kick this cold to the curb before the weekend... otherwise, it's going to be a long one, and I don't imagine any one of my coworkers are keen on covering my two twelve-hour shifts on Saturday and Sunday. I had thought the little sniffles from the weekend were worked out of my system, but apparently they were just a teaser to the storm to come. The truth is, I should have called in sick yesterday, but I didn't think I was feeling all that bad. But then the nose started dripping like crazy, the sneezes came one after another, and then the coughing started up; and now my upper lip and nose are red and raw, my throat is sore, and the coughing hasn't stopped. At least the dripping nose has gotten a hold of itself, though, the stuffiness remains. Before I left work yesterday, my boss told me that I better just stay home today because she didn't want me getting everyone else sick. I think I agree with her, though calling in sick is something I've ever only done once in my life, having grown up with parents who think that there's no reason to call in sick unless you can't walk. Even last evening my dad muttered something about, "just take some medicine and you'll be fine to work tomorrow morning." I ignored that. As my younger brother had to school me a couple years ago when I ended up with bronchitis due to lack of proper rest from being this sick with a cold: Calling in sick isn't just for you and your own health, it's also for the health of the people you work with. They may mutter about being short staffed for a day, but at least they'll thank you for not passing on whatever you have to everyone else. I managed to just slide in the last of my Reading Assignment books to reach the monthly goal, mere hours before midnight rolled around on the 31st of March. I'm quite happy about that, although that also meant I had to set aside Furry Logic in favor of finishing up the other books. This is fine by me since nonfiction books tend to take me more time to finish than other books anyway--I'm a little behind, but I plan on putting more focus on the Flat Book Society read in the next two weeks and try to have it finished before the next buddy read (Indigo by Beverly Jenkins) starts on April 15. Meanwhile... I just had two books on my e-book library wait list ping me for availability... two books I'd been waiting to get my hands on since they were announced, so I will definitely be jumping on those two books as soon as I can. March was a slower reading month than I would have liked, especially after having been so excited about getting a lot of specific books read, but overall, I ended up with at least one book I really loved, and a bunch of books that were quite enjoyable, in general. I've even started myself a few new series I'm interested in continuing as well as new-to-me authors I'm keeping on my radar. And this is what reading games are great for: finding new authors, series, and books that weren't originally on the top of that TBR to begin with, but ended up being moved up for reasons. Favorite reads: I'd say that my favorite read this month is a tie between Untouchable by Jayne Ann Krentz, or Etiquette & Espionage by Gail Carriger. Normally, Jayne Ann Krentz is a tried and true author anyway, but I still find JAK's contemporary work much more satisfying than her historical work as Amanda Quick. And I hadn't really known what to expect with Gail Carriger's young adult steampunk novel, so found myself pleasantly surprised by how much I enjoyed it. Disappointing reads: The truth is, my average rating for the month of March never strayed below 3.0 stars, so there wasn't a book I read this month that I found too disappointing. Maybe I had hoped that I'd like The Dragon and the Pearl a bit more considering how much I've loved previous books I've read by Jeannie Lin, but it was still a rather enjoyable read. I'm still working my way up the Snakes and Ladders board, and recently hit my second snake, so we're about two rows back down from where I HAD been after reading the most recent book for the game. So there will be more update posts as I continue to move back up, and hopefully will find my way to the top soon. I don't know what the rest of my blogging plans will be for April, as it's going to be a rather busy month for me in my non-bookish life, but I DO have a couple reviews pending, and also will hopefully have the Lake & March series review out sometime mid-April when I finish the last book in the series. 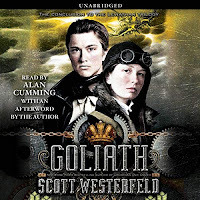 Meanwhile, I'm hoping to finish The Scarlet Pimpernel pretty soon, since it's not an overly long book, so there will be a review for that, as well as for A Dangerous Collaboration and Wild Country--reviews not quite scheduled, but they'll happen. I've got one review ready to be posted for A Most Extraordinary Pursuit, after I give it another read though. But since I'm feeling a bit under the weather, I think one post today will be it for me. Then it's back to bed, and maybe read for a bit, pending my mood before sleeping the rest of the day away. Having finished my last Reading Assignment book, Don't Look Back just in time to meet the end of the month "deadline," I'm happy to say that I've at least completed my March Reading Assignment reading list! Yay! 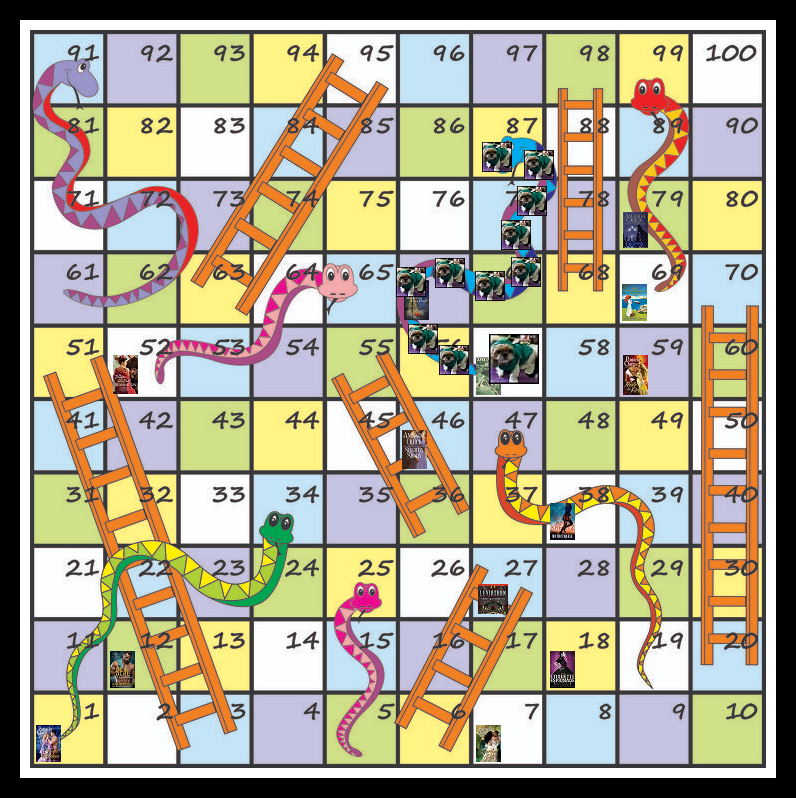 But this is a Snakes and Ladders update, so we'll come back to that. Finishing Don't Look Back also gets me moving onto the next dice roll! Having finished my book pretty late in the night, I'm now stubbornly staying up to write this post just to announce my next move. And as you can see above, it seems as if I have hit another snake. 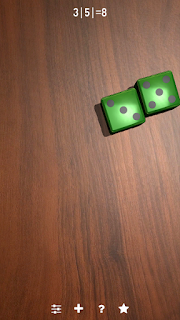 I rolled an 8 and landed on Square 87: "Snake - go back to 57." Happy April Fools Day to me, apparently... This is my second snake, but seeing as how I'm at the top half of the board, I'm not going to dwell on it. So I've been on Square 57: "Was published more than 50 years ago" once already, in which I was lucky enough to have had a pre-read book hoarded for the occasion (see my table below for details). This time, I'm just going to have to choose a new book to read, and in keeping with my Reading Assignment Challenge requirements, I went looking for a historical fiction novel that would fit this square. 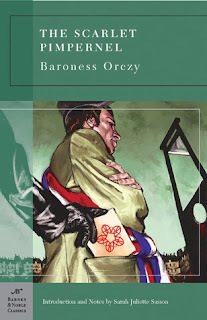 I ended up falling back on The Scarlet Pimpernel by Baroness Emmuska Orczy, which was the book I'd thought of the first time I landed on this square, but ended up using Mary Stewart's book instead since it was already read. I'd been meaning to read The Scarlet Pimpernel for some time already, and have the paperback sitting on my bookshelf, just waiting to be picked up. What better time than the present, right? And it'll help me knock out one book for Reading Assignment, and having been published in 1905, it definitely fits the Snakes and Ladders square. Yay!